Sporting the time-tested 4 x 10-inch configuration cherished by generations of bassists, the Acoustic B410C Bass Cabinet handles 400 Watts through four custom-designed traditional ferrite speakers, delivering the coveted warm, smooth sound with just the right combination of low-end punch and midrange definition. Combined with a defeat-able high-frequency horn driver, the B410C translates your tone across the entire bass spectrum with articulation and authority. Its 8-Ohm impedance rating and parallel 1/4-inch inputs make it easy to run multiple cabinets from a single amp head for a wide range of configurations. 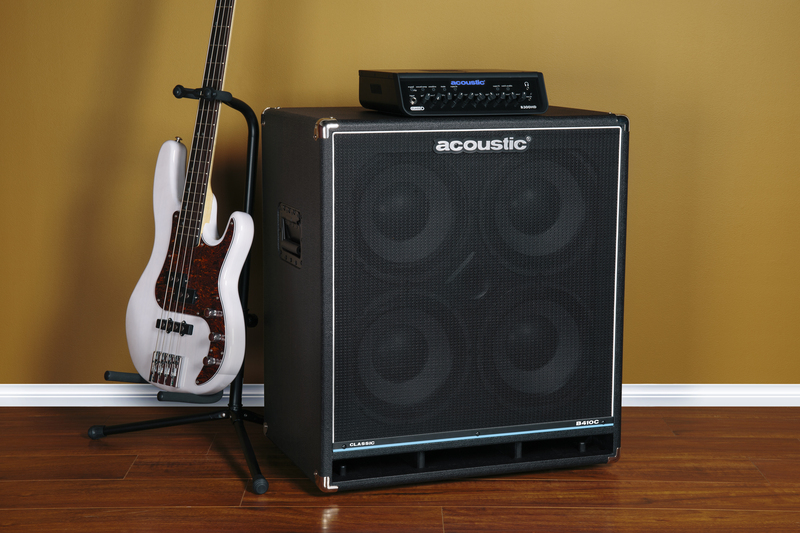 The B410C Bass Cabinet is available at a street price of $299.99 at all Guitar Center stores, from Musician’s Friend, and online at guitarcenter.com. 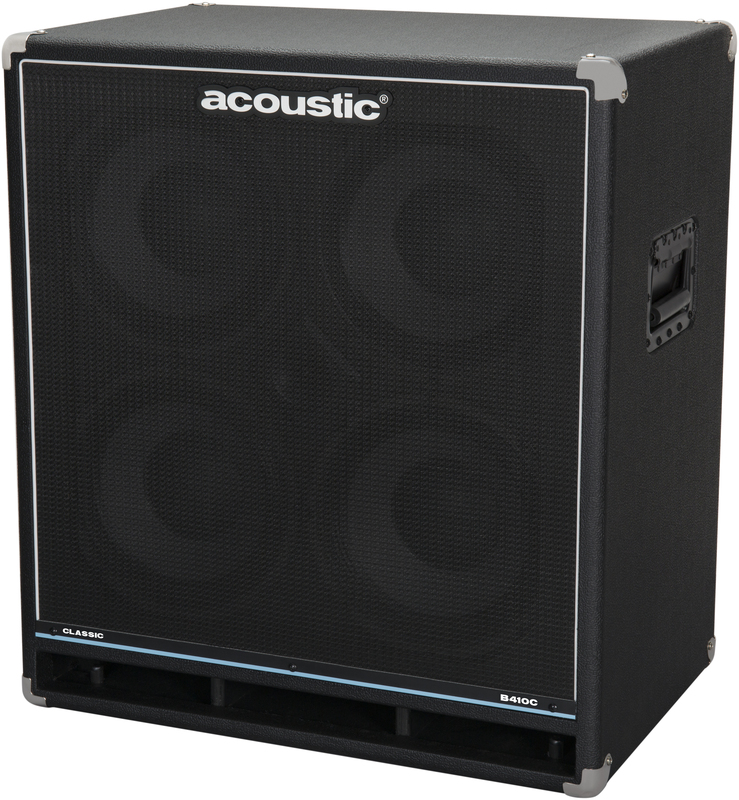 For more information about Acoustic Amplification, visit http://acousticamplification.com.